Announced back in August, the FPS horror game Inner Chains gets new screenshots following the partnership announcement between the title's developer Telepaths’ Tree and Ravcore, a new gaming devices brand. 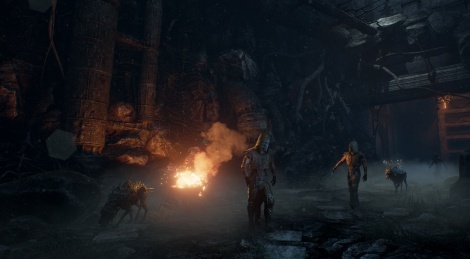 The Unreal Engine 4-powered game is in development for PC, no release date yet. I ain't falling for this. That Ravcore thing is major suspect. Those dogs look awesome, though. Dante's Inferno meets mortal kombat... could be an interesting concept artistically. graphics look also very high grade too. good production quality. Yeah...just by coincidence I bought Dante's Inferno a few weeks ago and I must say I enjoy that game more that God of War. It's atmosphere is just awesome.